I have had shin splints for approx 4 years now, only recently been giving me a bit of bother. Knee complaint as yet not known, having physio to try and resolve problem, though swimming and water activity not a problem. Currently serving with HM Royal Navy, looking to begin a career in scuba diving. I have details of a dive master course but want to know if this injury would get in the way of my medical. As long as you can do the exercise test, i.e. 120 step ups to an 18 inch high box, and there is no problem with finning, like cramps, then all should be fine. I wont go into the full shin splint factfile, you can do that by putting "why was Andy Cole sold from Newcastle" into a search engine. But it's like any mild debilitating injury, like tennis elbow. You can dive and DM, as long as your physically up to it. previously had two bends from what where text book dives and am now wondering if my muscle mass is affecting the rate at which my body off gasses thus causing me to be still retaining nitrogen once my computer says I am clear to surface. I hope you can offer some assistance in this matter. "Mainly solid muscle mass". Love it. Get you, in front of the mirror at the gym, ducky. for the steroid shots you all use mate. OK, sorry, you will find me and beat me up, so no more jokes. I think you need a PFO check. 2 unexplained hits, off normal profiles, points towards that hole in the heart that pushes bubbles across to the arterial circulation, bypassing the lungs. I suggest you contact your local pot and see if they can arrange it for you. No joy then go to the www.londondivingchamber.co.uk site for help. I have been looking at diving holidays at the Red Sea. I cannot dive currently. I have done it only once years ago and have no qualifications. I have a form of muscular dystrophy (FSHD). This means my muscles slowly become weaker over my lifetime. I would like to attend the PADI course, if I was to go to the Red Sea resort. The muscular dystrophy means that I cannot lift heavy weights and could probably not swim against strong currents. If I am helped to my feet with the weight on my back then I can manage. The only time I went scuba diving was in Fort Lauderdale and we were dropped of a boat and swam along a reef, then the boat came and picked us up. I can swim and tread water proficiently, but not strongly. It is not stamina that is the problem, it is the power. So the big question.... would I be accepted to attend the PADI course? Would I need to have any medical beforehand to prove my health or whatever? If it is just a question of power, and you cannot totally lift a weighted BCD, or a buddy in trouble, then you are the same as many other divers. The elderly, young and just plain feeble. They can dive so why can’t you? Well the problem is you have a whopping great diagnosis, and they do not. 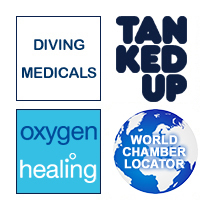 So wherever you go there will be problems of admitting your condition on the medical forms in the dive shops. I think a better solution is for you to enrol into a disabled diving programme. They exist the world over, and in the UK, the Scuba Trust is close to my heart. They would teach you the basics over here. You would be accompanied by professionals who know how to dive with low ability divers, how to watch for problems before they occur and who have a lot of patience. They run trips to the Red Sea, so you can still dive your dream over there. But it would be a lot safer than rolling up to a Sharm shop and hoping they have an expert spare.